The Dark Knight had one of the best viral marketing campaigns that we’ve ever seen and it looks like for the final chapter, they’ve created something unique as well. 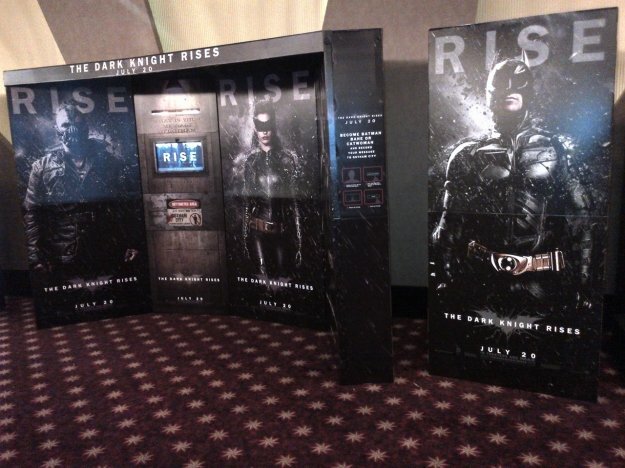 This movie theater display allows film goers to record messages as either Batman, Bane, or Catwoman. The tech superimposes a mask on the user and then allows them to send it out over any of their social media outlets. Take a look at it below. The Dark Knight Rises will hit theaters and IMAX on July 20th and stars Christian Bale, Michael Caine, Anne Hathaway, Tom Hardy, Gary Oldman, Marion Cotillard, Joseph Gordon-Levitt and Morgan Freeman.